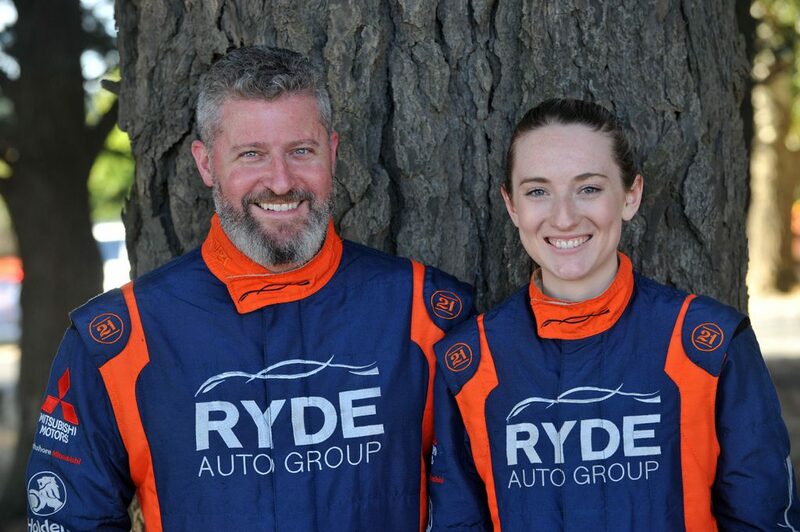 Defending Australian 2WD Rally Champions Adam Kaplan and Aleshia Penney are set to debut their Nissan 370Z at the Make Smoking History Forest Rally in Western Australia on 27-29 April. Initially the New South Wales pair planned to run the 370Z at round one of the Australian Rally Championship (ARC) at The Courier Eureka Rally but after purchasing the car in Perth, Kaplan decided to push the debut to the Forest Rally before bringing the car back to the East Coast. 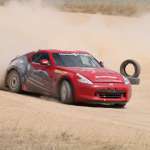 After running the trusty Mazda RX7 at the Courier Eureka Rally, and taking out the 2WD class convincingly with a clean sweep of both heats, Kaplan and Penney travelled to WA to have their first hit out in the newer, more powerful 370Z. “Obviously the 370Z is a much newer build than the RX7, by about 25 years. It’s also a very good quality, no expense spared build with top level components,” explained Kaplan. “It’s also a heavier car with a bit more power and a totally different power delivery to the RX7. I was surprised at just how lively the car is, it’s loose…very loose, so it should look spectacular backing into corners but I’m not sure if it will be fast that way. Kaplan said the set up of the 370Z was completely different to the RX7. “With the RX7 we were dealing with a lack of suspension travel and as a result we ran the car quite stiff, giving less feel for weight transfer and making it quite uncomfortable until we were hitting big bumps…or jumps, where it excelled and would land like we were on a magic carpet ride. The Nissan 370Z was built and run by Nic Box of Allstar Garage in Perth to the G2 rules for the 2013 ARC, when the outright championship was focused on 2WDs. Ultimately it was a little heavy and struggled against the front wheel drives, particularly with tyre wear. Kaplan said the car has been sitting in a shed since 2014. “Apart from a dust off, tidy up and a quick once over the car will run in Perth as it ran back in 2013,” Kaplan explained. From a co-driver’s point of view, Penney said the 370Z is very comfortable. “I have a lot more room in the cockpit which will make it easier to stay organized,” Penney said. “It felt faster than the RX7 but also seemed to drift a lot more than the RX7 so I’ll have to get used to the way it feels when I’m calling notes. Kaplan also found vision a challenge in the first test. “My first run in the car with the seat fitted low was terrifying, I quite literally had no vision of anything closer than about 20 metres,” Kaplan said. With only two years of gravel rally experience under his belt, Kaplan expects the 370Z to be a real challenge. “Essentially it’s a very well built car that’s never been sorted thoroughly. “We’re going to have a very solid test program this year to learn the car and get the most out of it. “Whilst we’ve had good luck with the RX7 in terms of reliability, there have been times when it’s age has started to show – kind of like the driver really! – and we would have been better off in a newer car.